Is there any news in this topic? I have my phone bricked(No turning on, light when plugged in) and there is no sttore near my city, what can I do? I want to install an eu ROM to have the Deutsch and Italian language... There is any risk to brick the phone, as I see there is an anti-rollback system and I don't want to brick it. Thanks in advance and I hope for an answer. yo tengo version distinta mira imagen. tarda mas de 10 minutos en colocarse PACIENCIA. Took some time to be able to make time to look into this again, you know, work and all that. However, good news, @Sirkaoss pointed me to the Russian forum (http://4pda.ru/forum/index.php?showtopic=910594) which I've come across a couple of time before , so I knew a little bit what to expect. Last week I've downloaded the newer TWRP (3.2.2-1: twrp-3.2.2-1-sakura.zip). 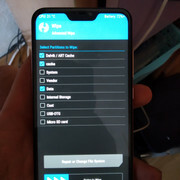 Also, there is a new MIUI 10 stable version out now, and, I was able to install it with the simple instructions provided by the xiaomi.eu team. 1. Start up your Redmi 6 Pro with the Volume down and the Power button pressed. 2. Let it enter fastboot mode and release buttons. 6. 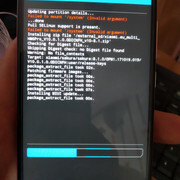 Phone will reboot and start TWRP, this may take a minute or two. 7. You don't have a password, so just accept that and go to wipe. 8. Go to Wipe and wipe the Cache and the Data partitions. 9. Go to Mount and mount cache and data partition. 11. Copy the zip completely (don't unzip!!) into the internal storage. 12. MAKE SURE COPYING IS DONE OR SAFELY REMOVE THE DEVICE FROM WINDOWS before hitting unmount in TWRP!!! 13. Go to Install, navigate to /data/media. 14. Select the zip file you copied. 16. Wait. This can take up to 5min, if you get an error really fast, probably error 7, try wiping the cache with the button on the bottom and try again. 17. If the install was successful, reboot your phone. 18. Long wait here, booting the new firmware can take up to 10min at first. As long as you see the dots in the bottom move, you're good! 19. Phone booted, all set!! Now it's good to note that I chose to install the stable instead of the weekly. This is because I didn't want the bugs from a weekly build, but also because the stable is a bit older, so if anti-rollback is an issue, I can move forward to a weekly, but not backward to the stable. Also, I was on the original Chinese rom 9.6.17.0 when I started this. Hopefully this all works for you guys as well. Good luck!! SO how would i change to Chinese Rom from Global without Bricking my phone?? I have bought Redmi 6 Pro from China. I also want to change the ROM and use the other languages. Could you help me to update the EU ROM, please? PLease consider that my ROM has latest update MIUI 10.0.2.0 and STABLE. Is there anyone did update the STABLE CHINA ROM MIUI 10 to MIUI 10 GLOBAL STABLE EU ROM? Please, if you have practice, explain step by step. I am looking forward to hearing you as soon as possible. I recently bought a Xiaomi Redmi 6 Pro in China. As a matter of fact I bought two, the basic version (32 GB + 3GB RAM) and the upgraded version (64 GB + 4GB RAM). It comes with the default chinese ROM and with MIUI V.9.6.12. I'm interested in upgrading to the Global ROM or the XIAOMI.EU rom. I need to have also spanish as a language and be able to install Google PlayStore. Is there any ROM available for this purpose? What are the steps I should follow to install? Most probably someone already asked this question before but I did not manage to find it. Looking forward to all friendly replies. Appreciate your help. Regards! Since the DATA section is encrypted, TWRP asks for a password, but you do not need this, just click cancel and go to next step.